Get ready to be shocked by this recipe. 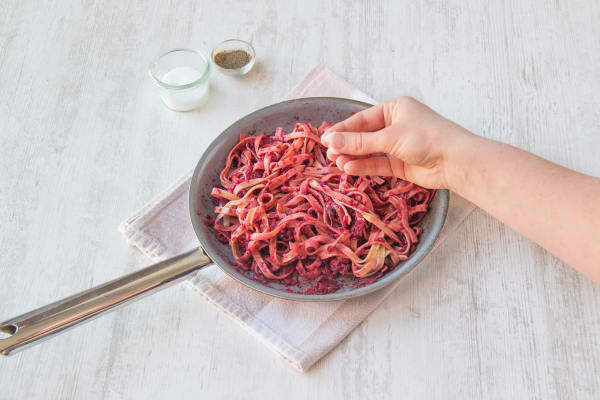 Yes—beets, caramelized red onion, lemon, and garlic really do create an insanely delicious pasta sauce. Drizzled with garlic-basil oil and sprinkled with toasted hazelnuts, this dish will certainly push you out of your recipe rut. Don’t be skimpy with that fresh ricotta— its creaminess brings the whole dish together! Bring a large pot of water to a boil with a large pinch of salt. Once boiling, add the whole wheat spaghetti to the boiling water and cook for 8-10 minutes, until al dente. Reserve ⅓ cup pasta water, then drain. Meanwhile, halve, peel, and thinly slice the red onion. Mince or grate 1 garlic clove and crush 1 garlic clove with the side of your knife. Zest and halve the lemon. Thinly slice the basil leaves and reserve the stems. Roughly chop the beets. 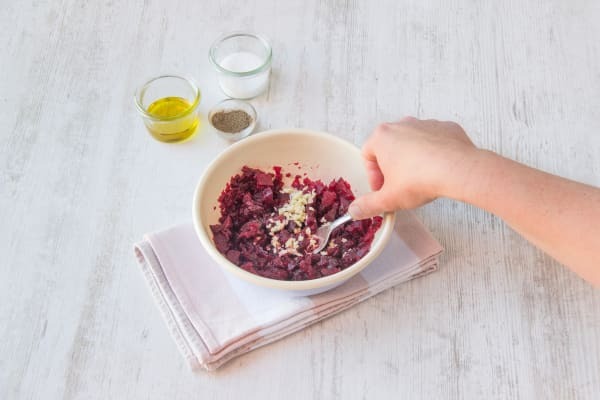 In a medium bowl, mash the beets with a fork or potato masher until completely smooth. Mix in ½ tablespoon olive oil, the minced garlic, and a pinch of salt and pepper. 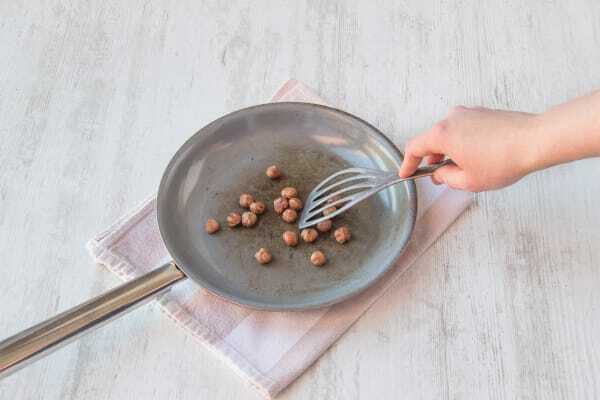 Heat a large pan over medium heat, then add the hazelnuts and cook, tossing, until fragrant, 2-3 minutes. Set aside to cool, then roughly chop. 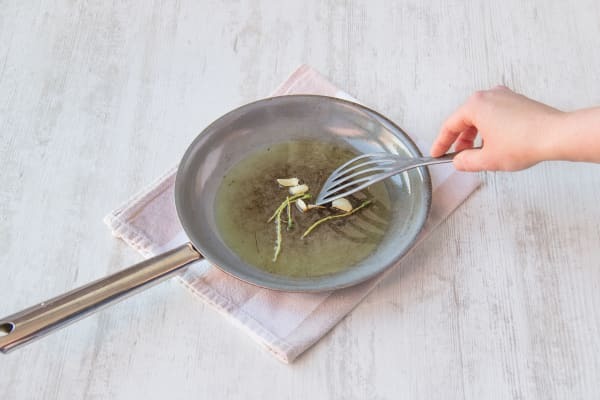 In the same pan you toasted the hazelnuts in make the basil oil: heat 2 tablespoons olive oil over medium heat along with the basil stems and crushed garlic. Cook for 2-3 minutes, until fragrant. Set basil oil aside in a small bowl. In the same pan, add the onion and cook, tossing, for 5 minutes, until soft. Season with salt and pepper. Add the beet mixture, pasta, pasta water, and a squeeze of lemon to the pan. Cook, tossing until thoroughly coated. Season to taste with salt and pepper. 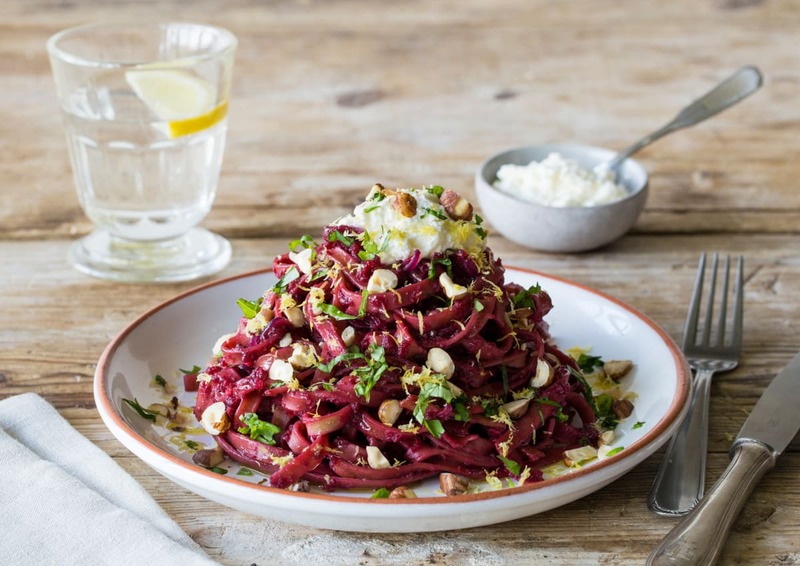 Plate the pasta, then drizzle with basil oil and dollop with ricotta. Sprinkle with lemon zest, basil, chopped hazelnuts, salt, and pepper. Enjoy!